Before you download our software, we kindly request you to provide us with your e-mail address to inform you of Free Upgrades when available. Once you’ve tried the car rental software and like it (we are positive you will), just come back to this site to obtain an activation code. Whether you register your copy during or after your trial, you will not need to re-install it. 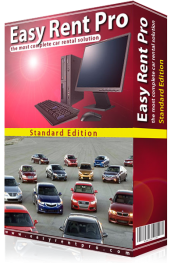 Choose “Activate Program” from Easy Rent Pro’s Help menu and enter your new activation code.